Justin Bieber and little brother Jaxon get heavily animated in the crowd at a hockey match. 6. 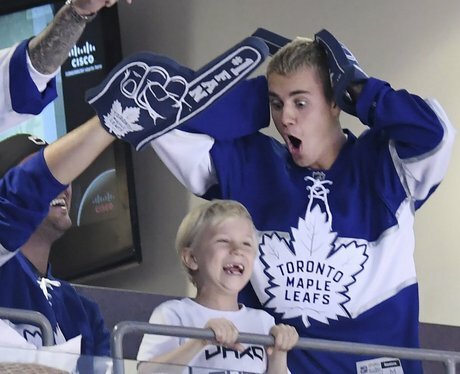 Justin Bieber and little brother Jaxon get heavily animated in the crowd at a hockey match.